XtremeDoor, the composite door from award-winning manufacturers Vista, is helping to rescue Liverpool’s historic Victorian Welsh Streets. Famous as the birthplace of Sir Ringo Starr, the Welsh Streets faced over a decade of neglect. 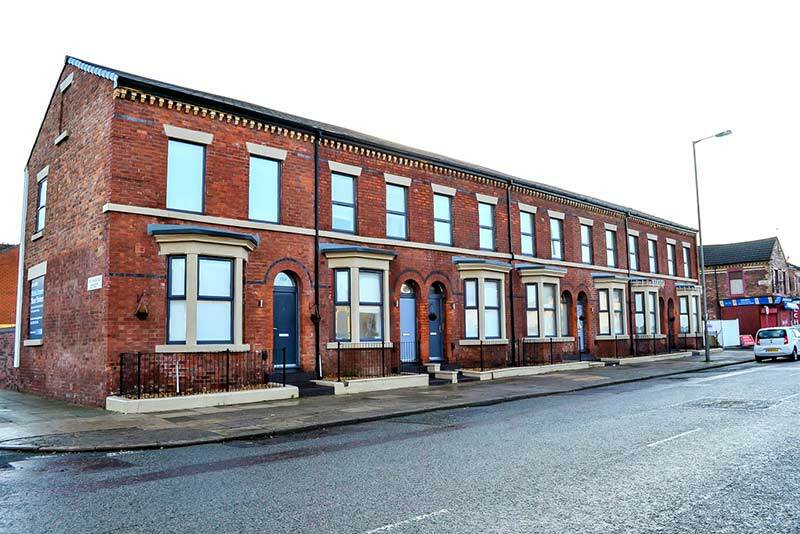 Now, thanks to Liverpool Council, Placefirst and Warwick Development (North West), the Welsh Streets are seeing a deserving revival. 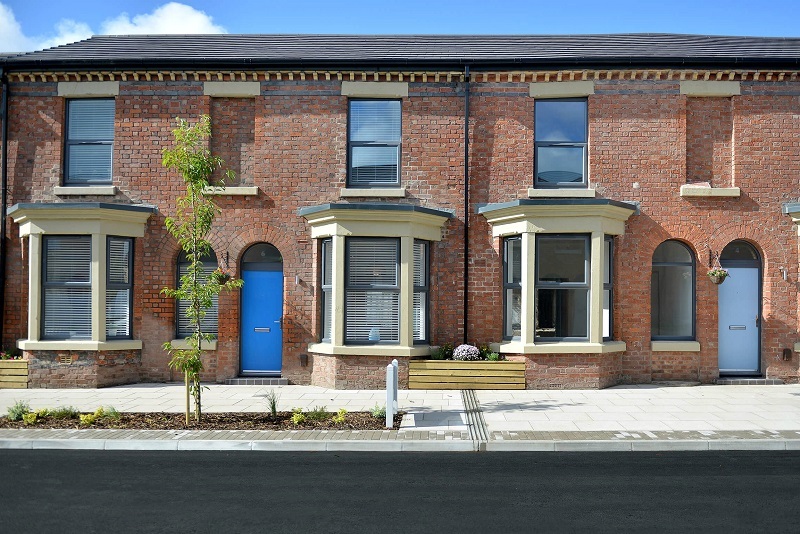 Vista’s signature door is the door of choice for fellow Merseyside firm Warwick Development (North West). The Eurocell fabricator has installed 30 XtremeDoors in a variety of colours – including Slate Grey, during the first phase of redevelopment. Warwick has also fittingly installed Slate Grey windows to the properties built by migrant Welsh developers and Welsh labour. 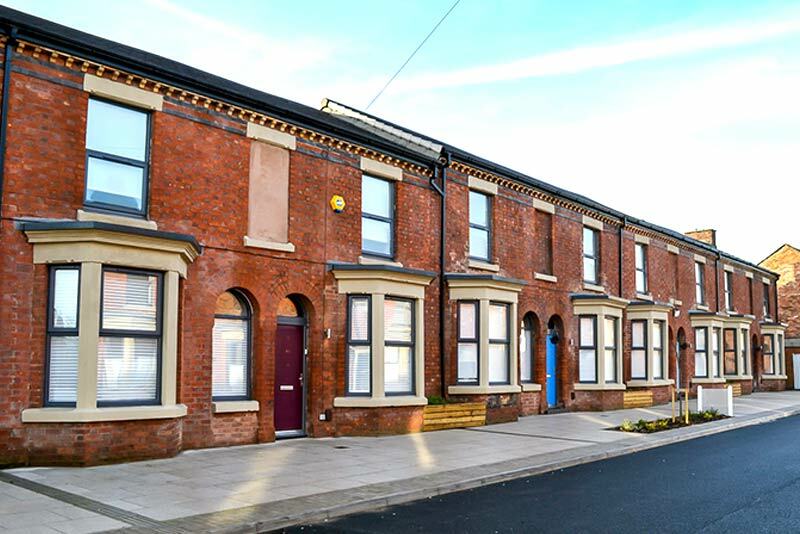 The next stage will see a further 300 homes refurbished including 9 Madryn Street, the home of the former Beatle. “We are absolutely thrilled to be involved in such a fantastic project and a worthwhile scheme which is revitalising an iconic area of Liverpool, and providing high-quality, affordable homes to rent to those that need it most,” comments Ian Smith, Vista’s Marketing and Business Development Manager. The homes on the Welsh Streets lay derelict for 12 years, with the value of Starr’s home dropping to as low as £600. The vacant Powis Street was closed off and painted soot black to provide the backdrop to the hit BBC drama Peaky Blinders. Powis Street saw stars Tom Hardy and Cillian Murphy walk the cobbles as it became Watery Lane, the Shelby family’s headquarters in Small Heath. In 2015, Liverpool Council set about plans for the major regeneration project and partnered with award-winning property specialists Placefirst. Their big idea was to build for rent, not sale, at sufficiently low rates to be accessible to nurses, care workers, teachers and others usually priced out of good-quality housing. Placefirst have recombined the traditional houses to make homes of two, three and four bedrooms. Backyards, alleys and rear extensions have all been cleared out to make fantastic communal gardens. Many of those families that were forced to leave some 12 years ago, have now been able to return.